One. Basic, simple, and easy to understand. 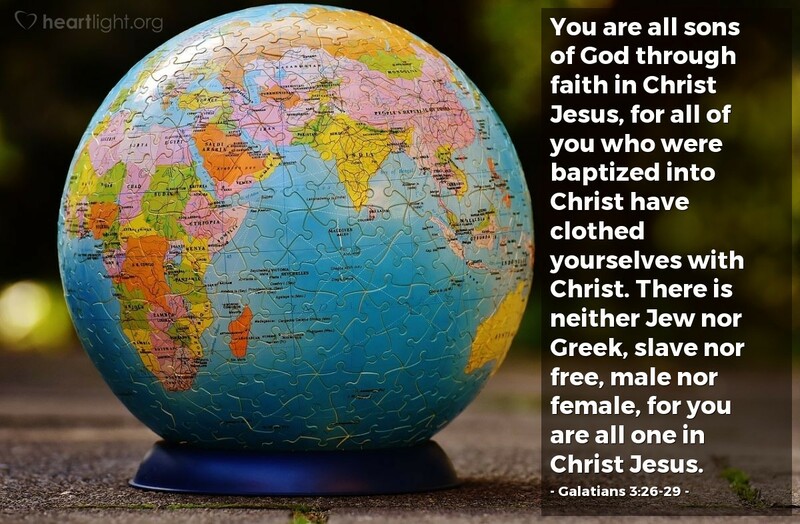 When we become Christians through faith and baptism into Christ, we are made one with all other Christians around the world. Race, gender, and social status are gone. All that's left is One, the One, Jesus. Our lives are his and thus are connected to each other. Our destination is the same, heaven. Our family is the church. No barriers. No closed doors. We are one. Abba Father, thank you for adopting me into your family. May we be one on earth now, as we will be when we are all together around your throne in heaven. I pray for unity among all those who call upon your name and share your Spirit so the world may know there is a solution to conflict, strife and division. Through Jesus our Savior, I pray. Amen.